The Backup Nut is constantly mystified at how many computer users (including some "advanced" ones) break one of the most important commandments of data protection: Thou shalt protect thy power source from surges and power failures. Yea, even people whose computers are worth thousands of dollars and are key to their earning their daily bread often submit to temptation and get stingy when it comes to power conditioning. They put their computers and their data at risk by using cheap, no-name surge protectors instead of high-quality ones like the APC Uninterruptible Power Supply shown here. Brothers and sisters, let there be no doubt in your minds about this: No computer (except a laptop with a good, charged battery) should ever be operated unless it's protected by a good, UL-Listed UPS (Uninterruptible Power Supply). Surge protection, no matter how good it is, is not enough. You see, dear brethren, surge suppressors only protect against voltage spikes and surges. But overvoltage and undervoltage conditions can also cause serious damage to electronic computers, as can improper shutdowns due to power outages. 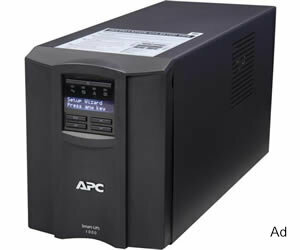 A high-quality UPS provides protection against power failures, surges, spikes, undervoltage ("brownouts"), overvoltage, and other power line fluctuations, all of which can damage a computer. Computer hard drives and the data they contain are especially vulnerable to damage from power failures. When a computer is shut down improperly, data in memory doesn't have a chance to be written to the hard drive. In addition, if the hard drive is actively reading or writing data at the time of the power outage, it can cause the file system to become damaged, which sometimes can cause data loss or even make the computer unbootable. Verily I say unto you, dear flock: Your computer and your data are at risk of eternal loss if you fail to heed my advice! So get thee a good UPS and protect your computer and data against all manner of power line evils. Why does my Computer need a UPS? Open documents that have not been saved will be forever lost as the electrons depart the RAM and the data disappears into the ether. Data that is in the process of being written to the drive will be corrupted, as may the filesystem of the drive itself. Registry changes that have not been saved never will be. In some cases, the hard drive's filesystem may become so corrupted that the partition isn't even recognized anymore, making the computer unbootable and necessitating costly data recovery data recovery services. It's not just a total power failure that can harm your computer. Overvoltage conditions (surges and spikes) and undervoltage conditions can also do irreparable harm to your system. A good surge protector in a properly grounded outlet protects against surges and spikes, but does nothing to guard your system against less-dramatic overvoltage and undervoltage conditions. Automatic, graceful shutdown of your computer, glory be, if a power failure occurs while the computer is unattended. Installing a UPS is an easy thing, my brothers and sisters. Verily, even a newcomer to the flock can do it. The UPS is installed between the computer and the other equipment it's protecting, and the building electrical outlet (the "wall plug"). The UPS gets plugged into the wall, and everything else gets plugged into the UPS. Most UPS's have two sets of outlets: One set provides surge protection only, and the other provides both surge protection and battery backup. The computer itself, the monitor, and any external hard drives should always be plugged into the outlets that provide battery backup. 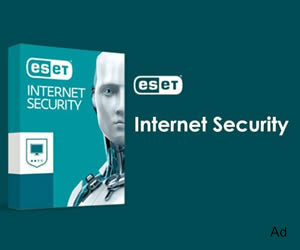 This is to allow you to save documents, close applications, and gracefully shut down the computer in the event of a power failure, as well as protect the external hard drives from damage. You can also plug your modem or other Internet connection device(s) into the battery backup outlets if you like, which will enable you to tell people you're chatting with on the Internet that you'll be shutting down for a while. Or you can use a specially-designed battery backup for modems and routers to separately protect those devices. Better-quality UPS's also have connections for cable Internet, telephone, T1 lines, or Ethernet cables. Electrical surges can travel through any of these wires, so the Backup Nut verily exhorts you to use the all protections thine UPS provides for thee. What Shouldn't be Plugged Into a Battery Backup? Printers (especially laser printers), plotters, scanners, and other power-hungry devices generally should be plugged into the outlets that provide surge protection only in order to prevent these devices from rapidly depleting the UPS battery. You should also avoid daisy-chaining battery backup devices and search suppressors, in any order. Finally, my brothers and sisters, almost all UPS's have a data cable that connects the UPS to a computer's USB port (or less commonly, it's serial port). This cable allows the UPS to tell the computer about any power events so that a graceful shutdown can be initiated. Some UPS's will be automatically recognized and configured by Windows, while others require that the manufacturer's software be installed. Verily I say to you, just look for a CD in the box the UPS came in, stick the CD in thy computer's CD or DVD drive, and run the setup program.